My Dad recently gave me a box of books from the Family Archives, and look at what I discovered! 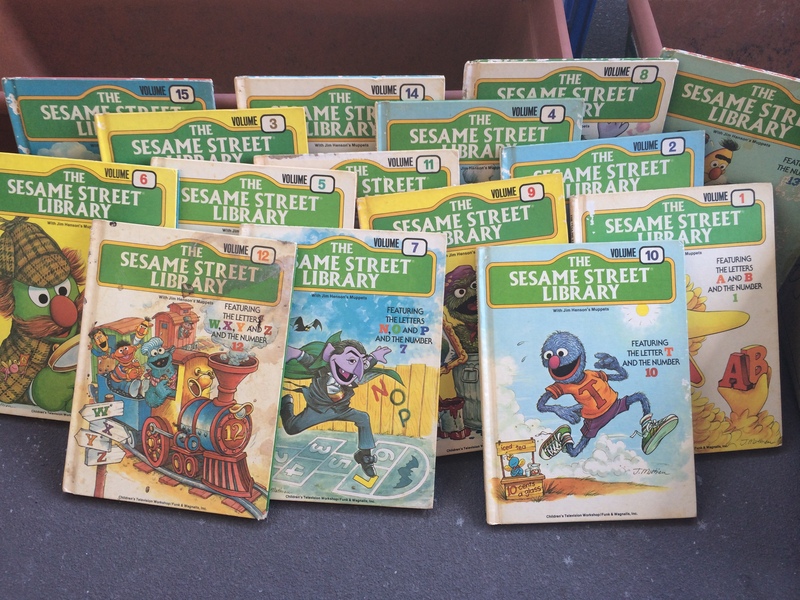 A complete set of the Sesame Street Library featuring the muppets. The series features the numbers 1 – 15, and the letters A – Z. They were published from 1971 – 1978. The books have their fair share of wear and tear, but this is due to at least a decade of time spent in my sister’s and my hands being read over and over again. I highly recommend that you hold on to your, and your children’s, childhood book collections, it is simply magic to rediscover them. Check out the slideshow below for a look at all the covers in the series.